Want to see it sharper? I love all of the shades of gray, from the sky through the hills to the water . . . Just beautiful! Lynn, thank you very much for visiting and for your wonderful comment! I hope you liked what you saw and come back again. Beautiful. I drove through that area about about a decade ago and this is exactly how I remember it. It’s such a quiet mood. It really is a wonderful place to ponder upon things…anything really! Thank you for the comment Brandon. Beautiful photo. 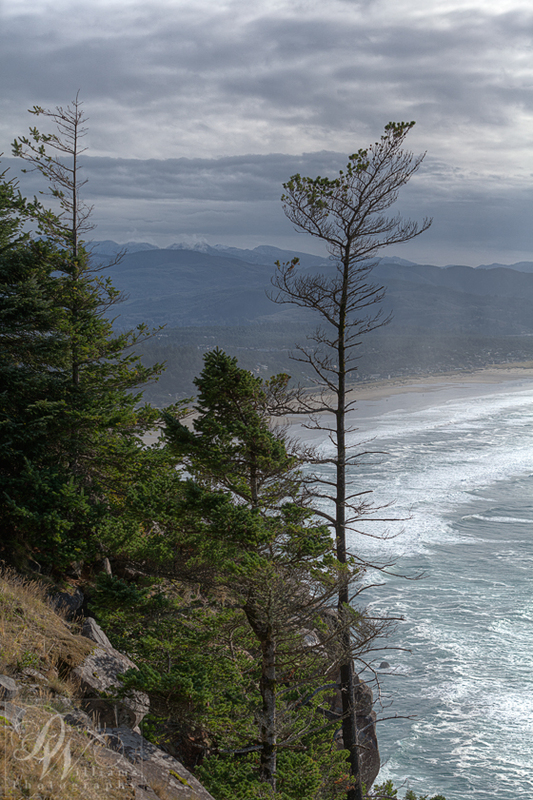 I love the Oregon coast. Thank you Matt. I am almost embarrassed to say, but this was my first time to the OR coast. Living in Washington, there’s just no excuse! The view is gorgeous! Thanks for sharing this! I’ve been to this part of the US and it is a truly beautiful coastline. This photograph brings back fond memories. Glad I was able to bring back some memories for you Mufidah, I hope they are good ones! Thank you very much Graham.